Jordanian business-jet management and charter concern Arab Wings, the leading component of Jordan’s International Wings Group, which owns aircraft management companies and a number of flight training schools in the Middle East and North Africa, is looking to a charter upturn to restore fortunes in the Levant as business trends pick up and regional conflicts die down. “We have always managed aircraft. Aircraft in Jordan are mostly managed. That is a trend that is increasing. 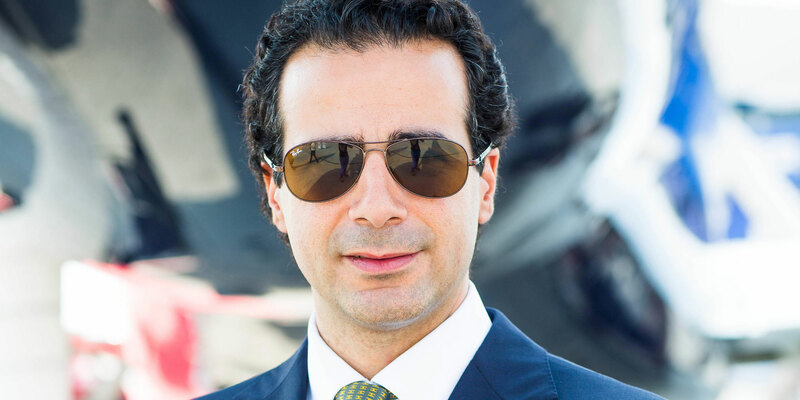 People really understand the value we offer; aviation companies can be very costly and do not make financial sense if you own only one aircraft,” Ahmad Abu Ghazaleh, CEO, Arab Wings, which is based at Marka International Airport in Amman, Jordan, told AIN. He was coy about changes to the Arab Wings managed fleet in the past 24 months. “I would not wish to comment further than saying we have taken a BBJ and are now in the process of adding a Piaggio and a Legacy 600, both for charter. Most of the aircraft in our fleet are on charter, but not all of them,” he said. IWG has continued its success with pilot training in the Middle East and recently opened its first facility in North Africa. “We opened a flight school in Morocco, which is now operational. The Morocco Aviation Private Academy [MAPA], located at Benslimane Airport, between Casablanca and Rabat, caters to airframe maintenance technicians [AMT] and pilots, under the EASA framework,” he said. In Jordan, IWG is training pilots and technicians. “In Iraq, the school has not yet opened. It takes time. When it does, this school will be very important, as Iraqis make a major contribution to the aviation industry. We have trained many Iraqis in Jordan. In the past five years, we had a technical training program for the Iraqi Air Force on the F-15, but that has now been discontinued,” he said. Earlier this year, Abu Dhabi-based Etihad Aviation Training announced plans to open its pilot training schools to international students. “Ab initio training at Etihad is likely to prove very costly, so it is difficult to say how many young trainees they will attract from outside the region. In addition, it is challenging to fly a single-engine aircraft in the very hot conditions prevalent in the Gulf region,” he said. He said the situation in Syria was calming down, while Iraq finally had a government. He expects business and general aviation conditions to improve. “Jordan has weathered the storm. I am not worried about Jordan; it is the most resilient country in the region,” he said.